Is your menu fully vegan? Yes, we are a 100% plant-based restaurant! Everything from our house-made cheese to handcrafted ice creams are 100% vegan. I have a severe allergy – can you accommodate it? 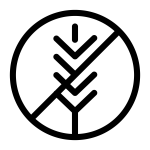 We do have allergen symbols on all our menus to identify dishes that are naturally nut-free or can be made gluten-free, however, please always alert our staff to any allergy you may have. Please note, while we have strict processes around preparing food when notified of an allergy, our ingredients are prepared in a facility that also processes gluten & nuts. We have extensive allergen guides to crosscheck any allergen including gluten, peanuts, nuts, sesame, soy, night shades, garlic, cilantro + mustard. Don’t hesitate to phone the restaurant, ask a staff member on-site, or drop us an e-mail to learn how we can best accommodate your needs. WHAT INGREDIENTS DO YOU USE IN YOUR regular CRUST? High Gluten Flour, Water, Salt, Olive Oil, Cane Sugar, and Yeast. WHAT INGREDIENTS DO YOU USE IN YOUR GLUTEN FREE CRUST? Nextjen makes our gluten free crust using organic millet, organic buckwheat, organic psyllium husk, brown rice flour, white rice flour, tapioca flour, guar gum, pectin, water, sugar, yeast, and olive oil. Do you have any paleo friendly options? As both our gluten free and regular crusts contain legumes/grains, pizzas are not an option for anyone following a strict paleo diet. Please speak with a staff member during your visit to see if we can help accommodate your dietary restrictions! We do not currently have our nutritional information available, but it is on our radar! WHAT DO YOU USE FOR YOUR “HOT HONEY”? Unfiltered Apple Juice, Chamomile Tea, Brown Rice Syrup, Calabrian Chilis with Oil. Do you have SOY FREE OPTIONS? We do! Currently, our Margherita and Superfunghi pizzas are both naturally soy free, but our staff members are happy to recommend modifications to make other menu items soy free as well. Can I buy your cheese? If you’re in Vancouver – you absolutely can! We regularly sell wheels of Tofu Feta + Lemon Herb Chèvre from our UBC location, with regular pop-ups around town. Stay tuned on our social media channels and website to find out where you can purchase Virtuous Pie cheese in the lower mainland. We currently do not take reservations at any of our locations, seats are awarded on a first-come, first-serve basis. Don’t hesitate to give the restaurant a call to find out how busy it is before you plan to visit. Is it possible to rent out your space for an event? Yes! Our Portland and Vancouver UBC locations are perfect for hosting large events. Please fill out our contact form with all the details and we’ll be in touch! While we don’t have formal catering services in place presently, we are able to accommodate large pick-up orders with at least 3 days notice. You can also find us on Foodee in Vancouver for your office ordering needs. For large pick-up orders, please fill out our contact form and we’ll be in touch! I’d like to open a franchise location! Thanks for your interest! We’re currently not on the lookout for franchise partners, however, you can provide your contact details through our form and we’ll be in touch if opportunities arise. Do you accept donation OR SPONSORSHIP requests? We do – but please note, we receive a large volume of requests and cannot accommodate all of them – as much as we’d like to! You can submit a donation or sponsorship request to your preferred location using our form here. I’d like to work at Virtuous Pie! Fantastic! You can check out all our current openings over here. Where are you opening next? We’ll be sure to announce our new openings and locations on our social media and through our e-mail newsletter, so make sure you’re following us and signed up!